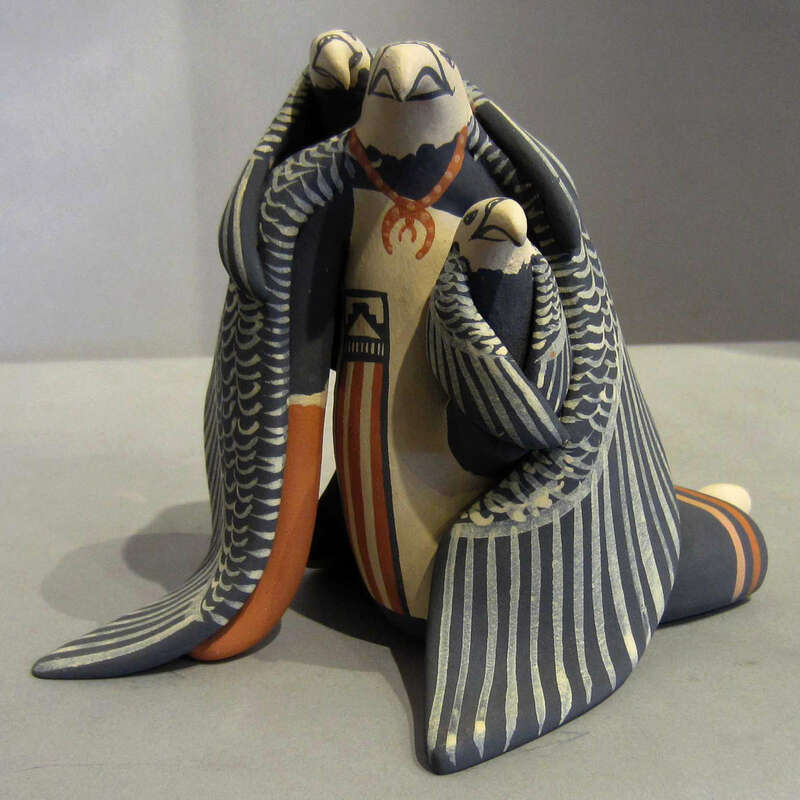 Loren Wallowing Bull was born into the Corn Clan at Jemez Pueblo. 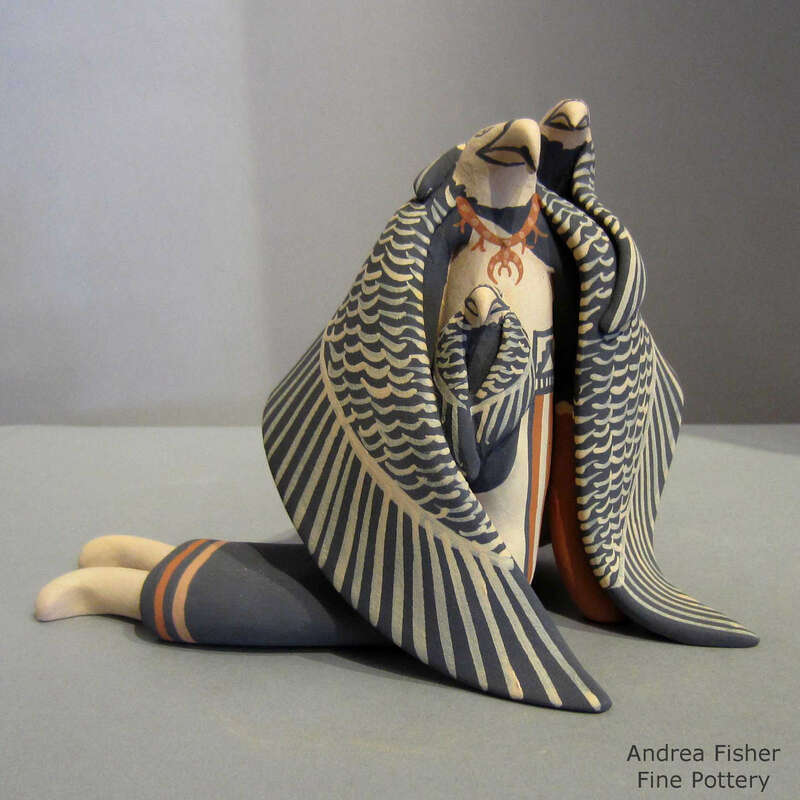 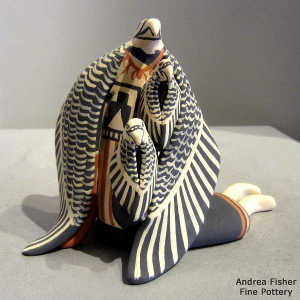 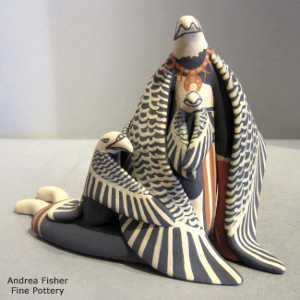 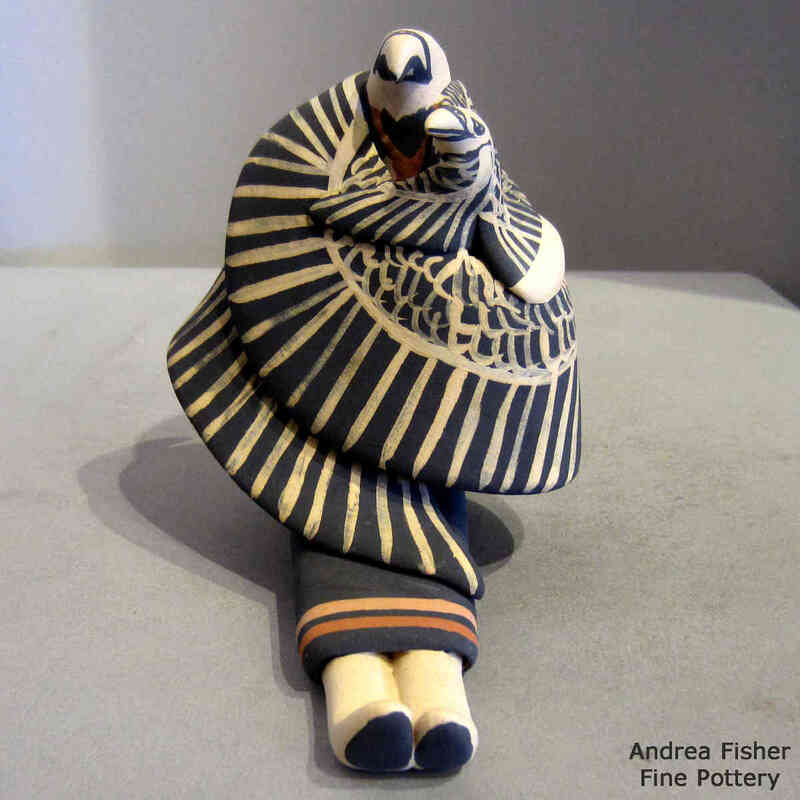 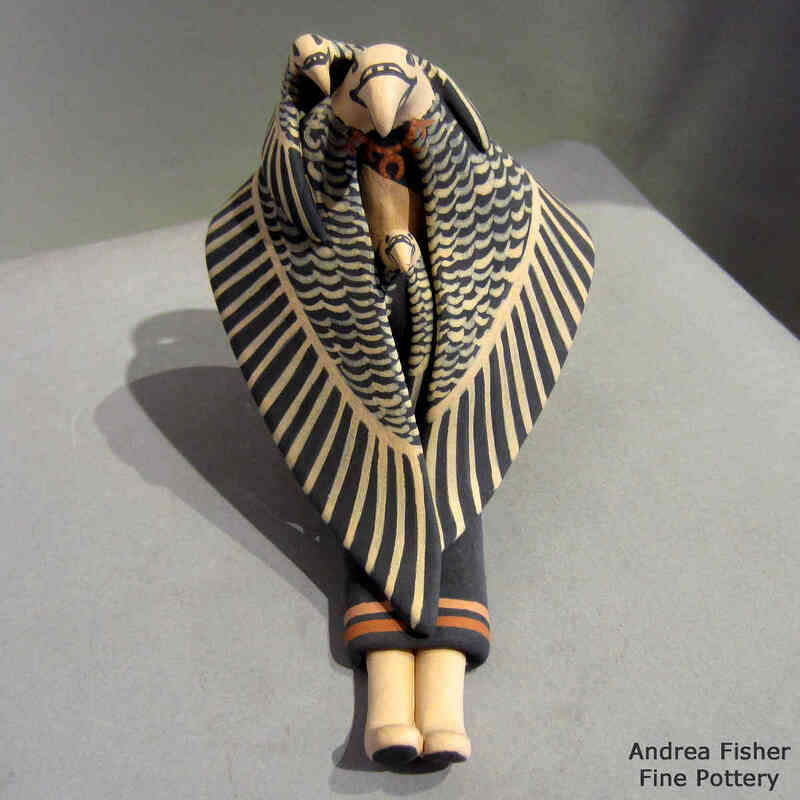 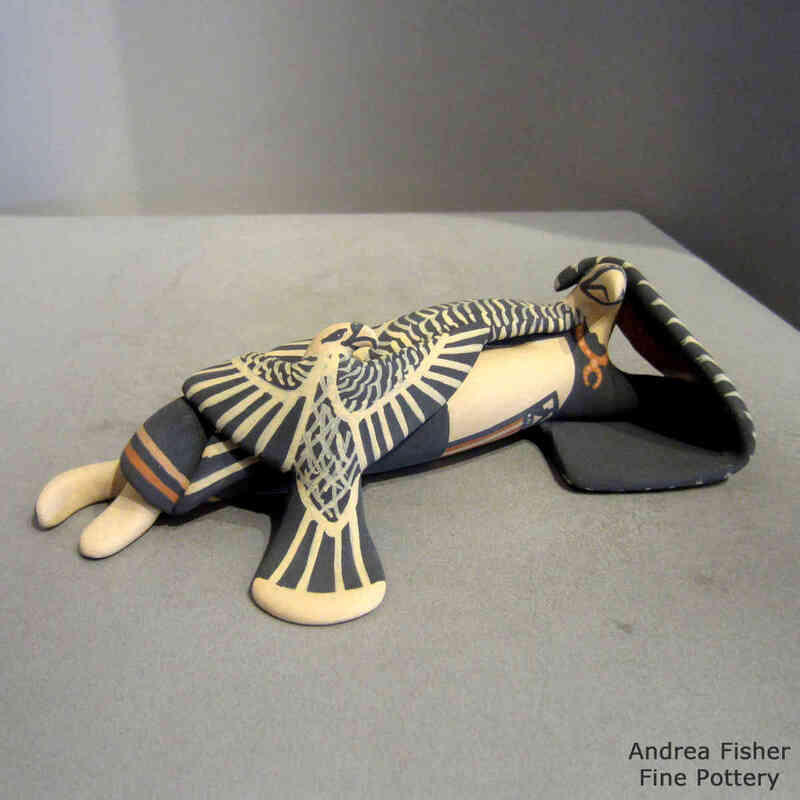 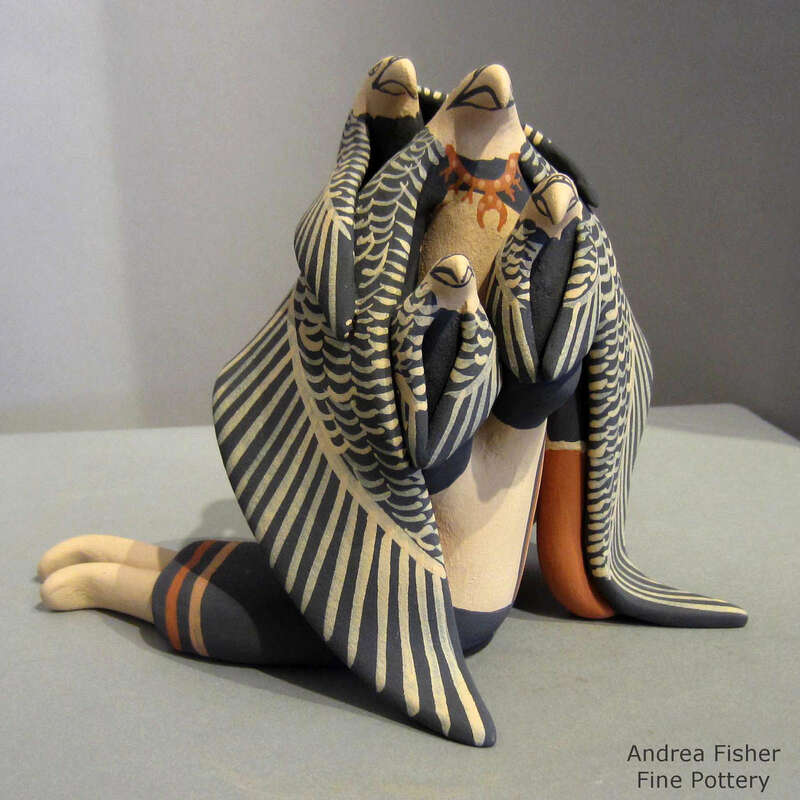 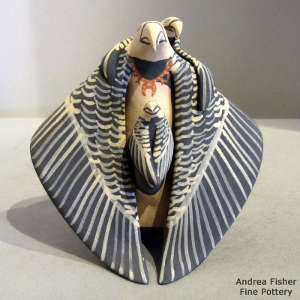 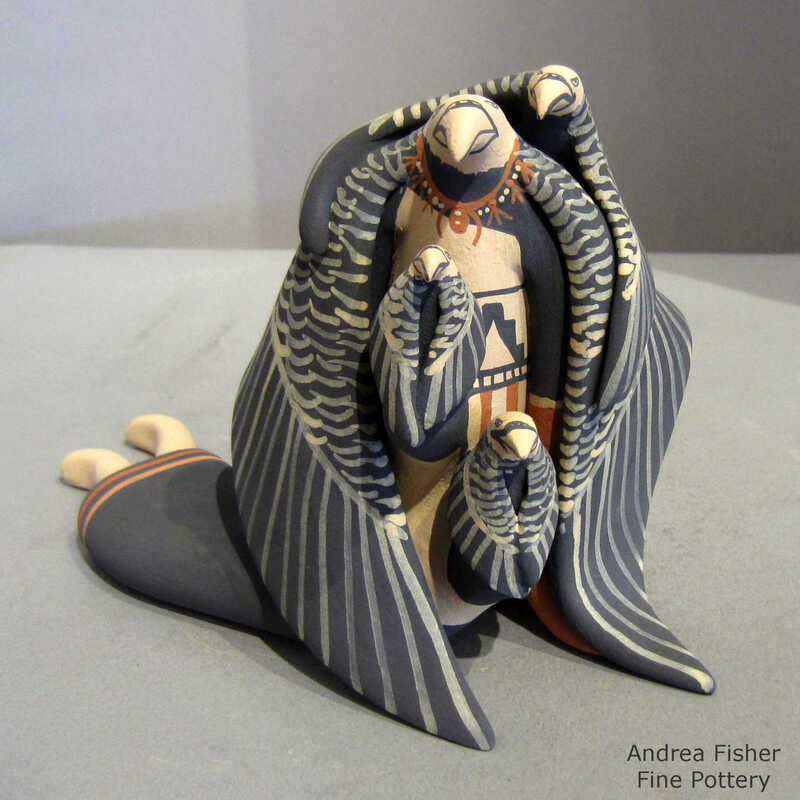 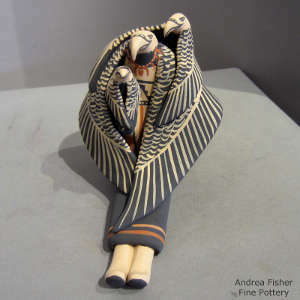 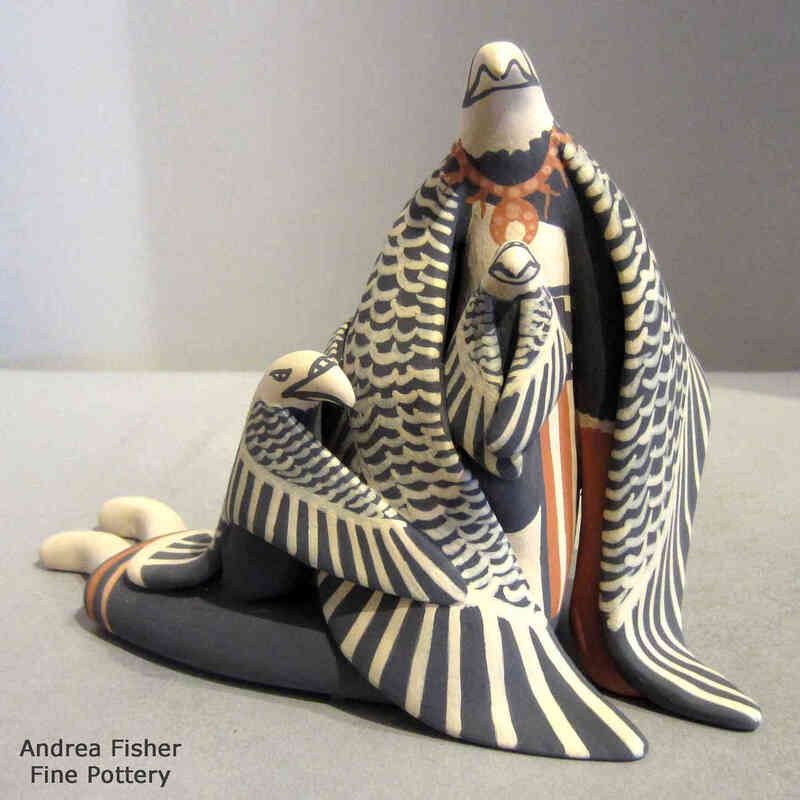 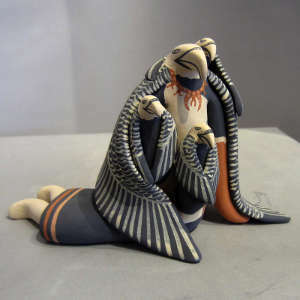 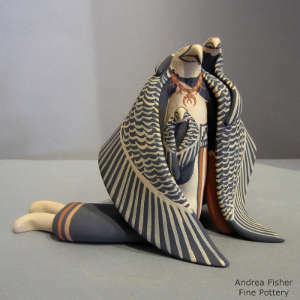 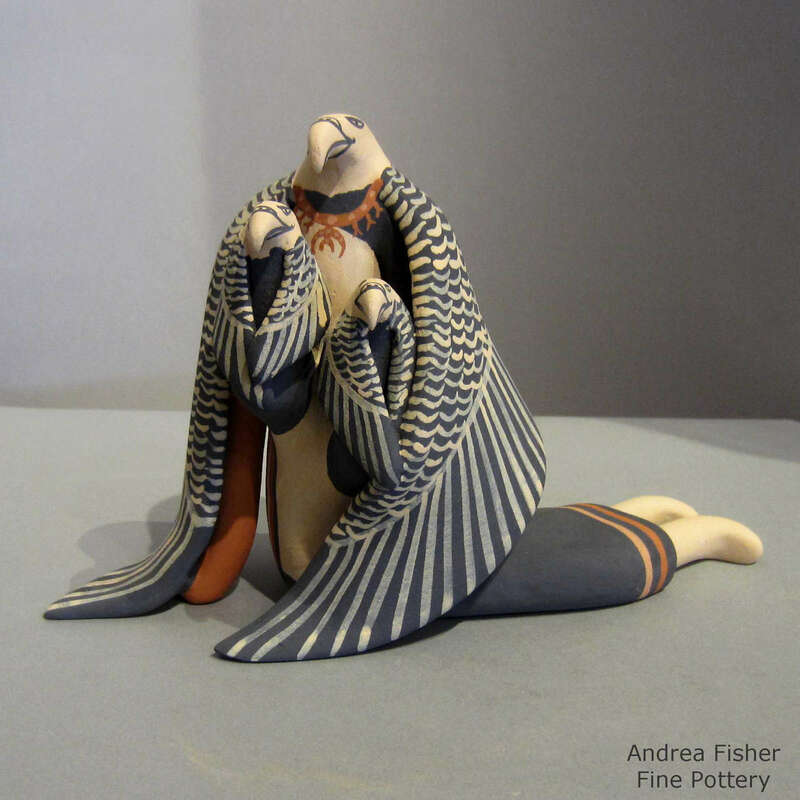 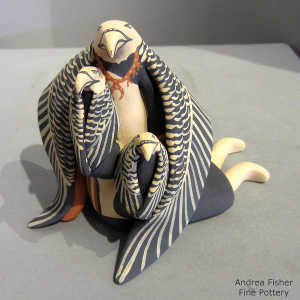 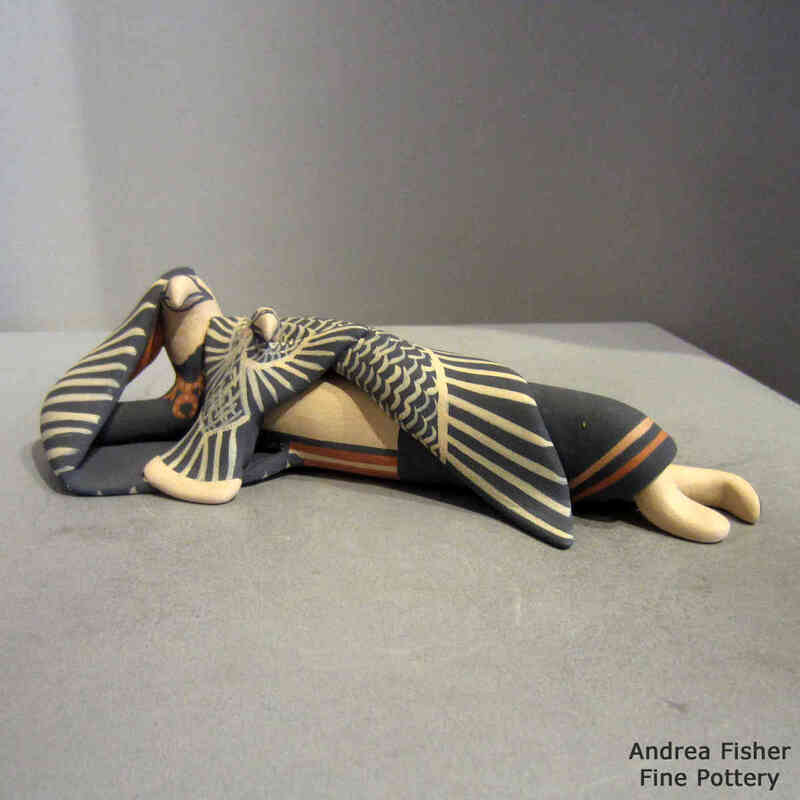 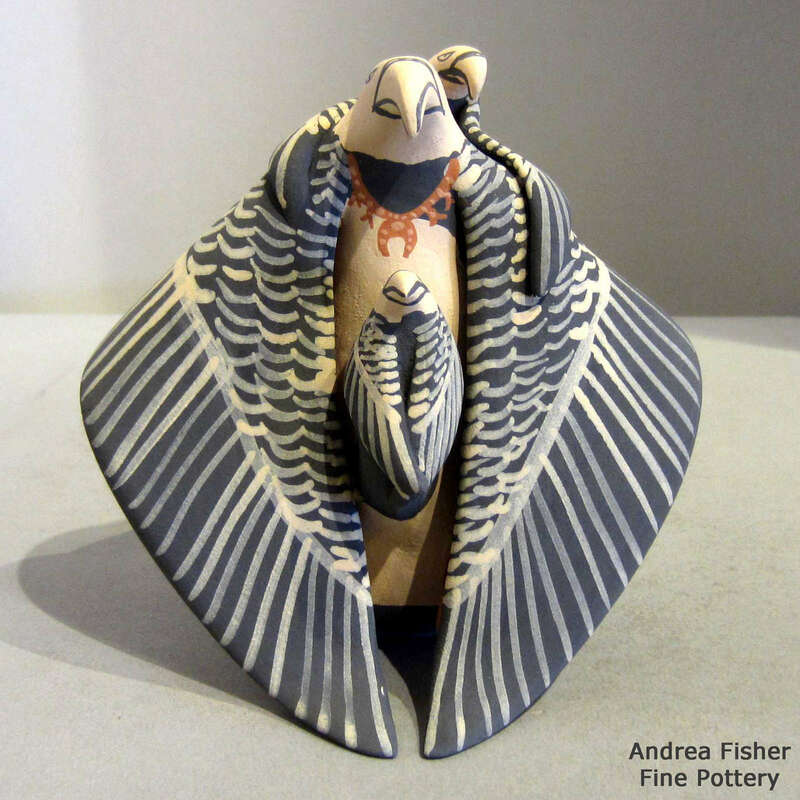 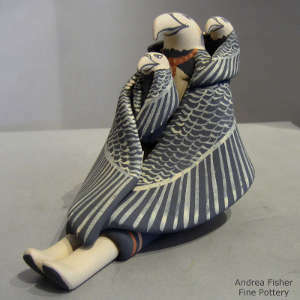 He learned the traditional art of making pottery from his mother, Linda Lucero Fragua. 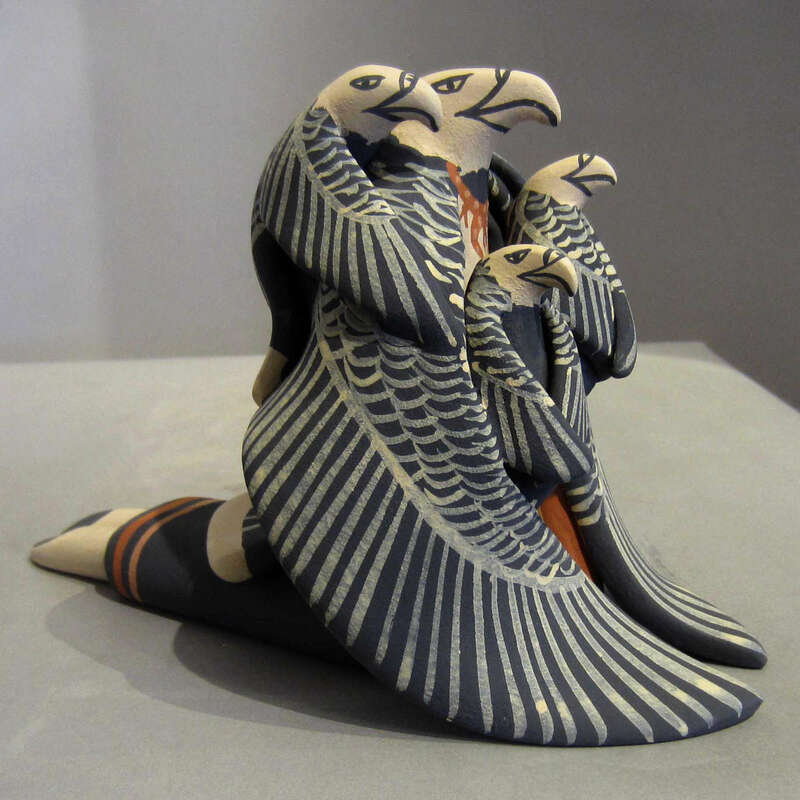 I asked Loren one day how he decided to make the eagle a central part of his artwork. 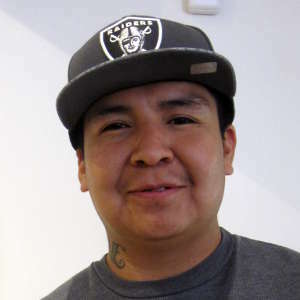 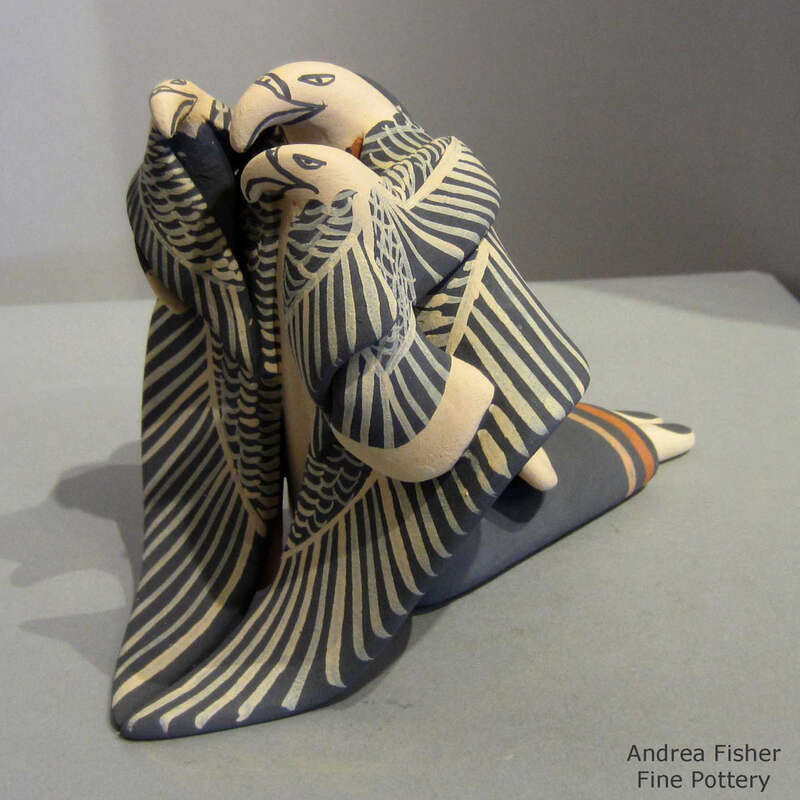 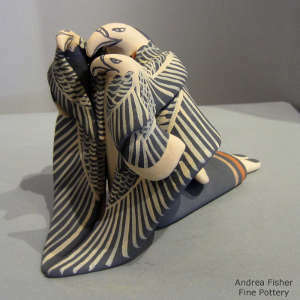 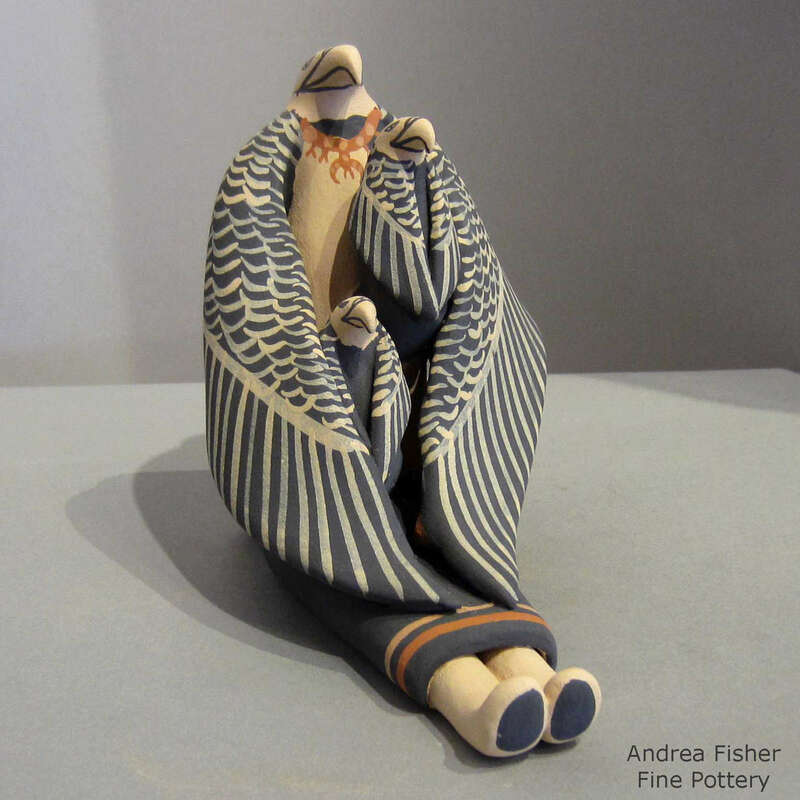 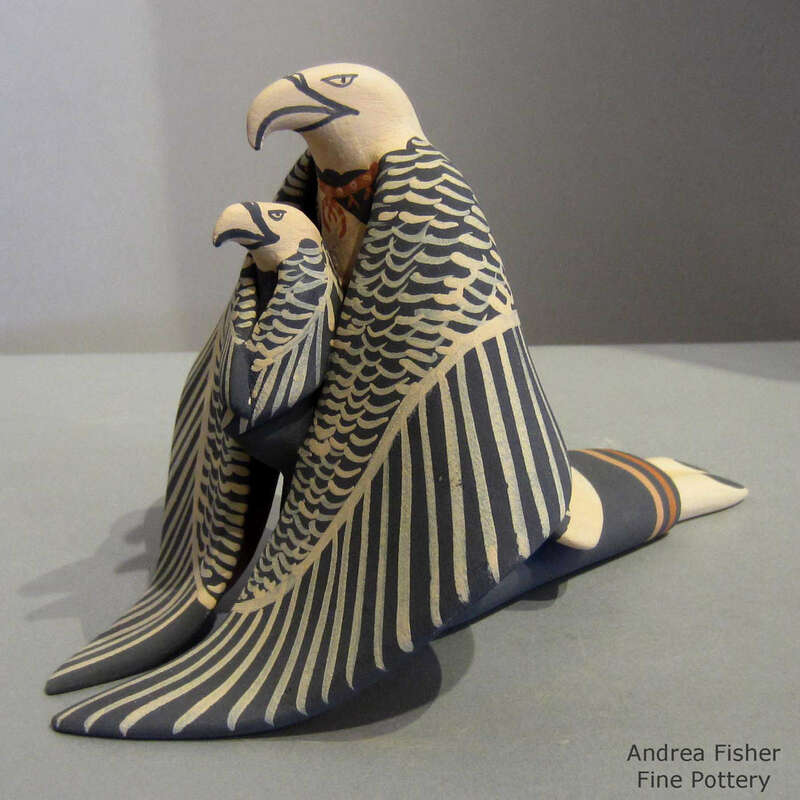 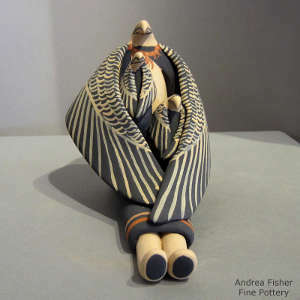 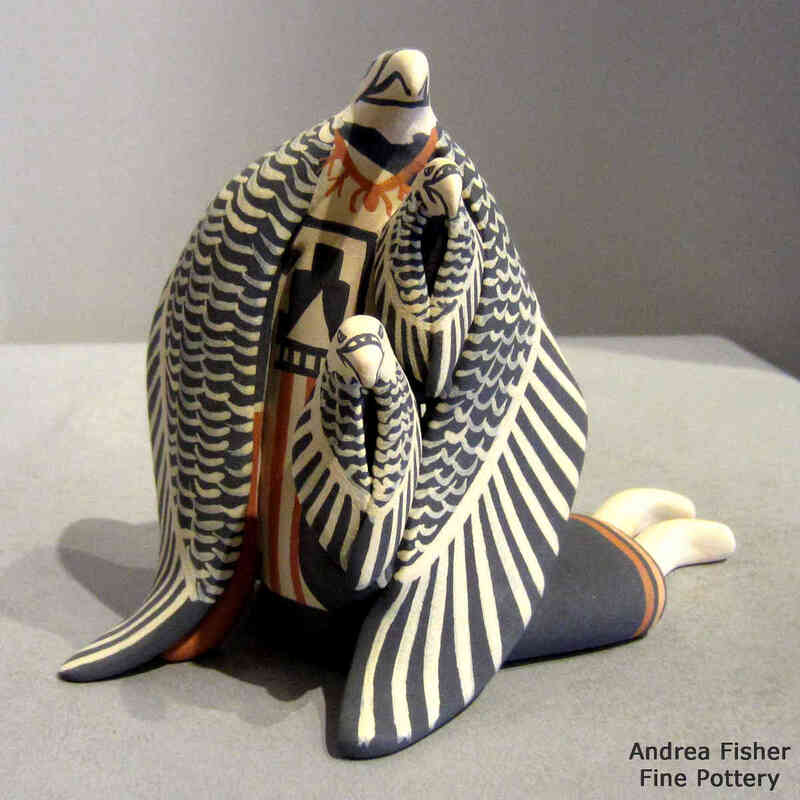 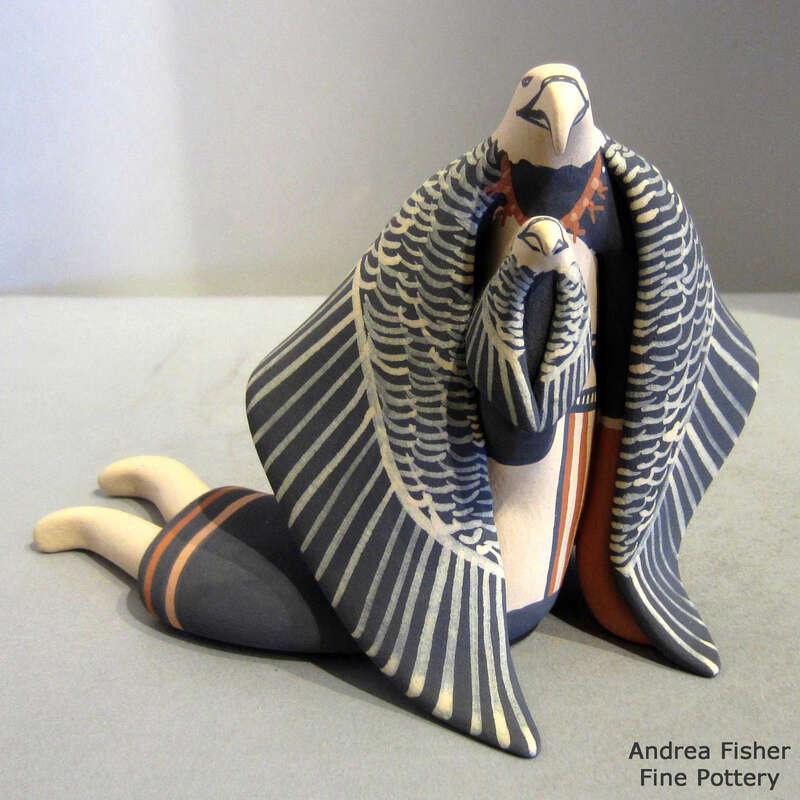 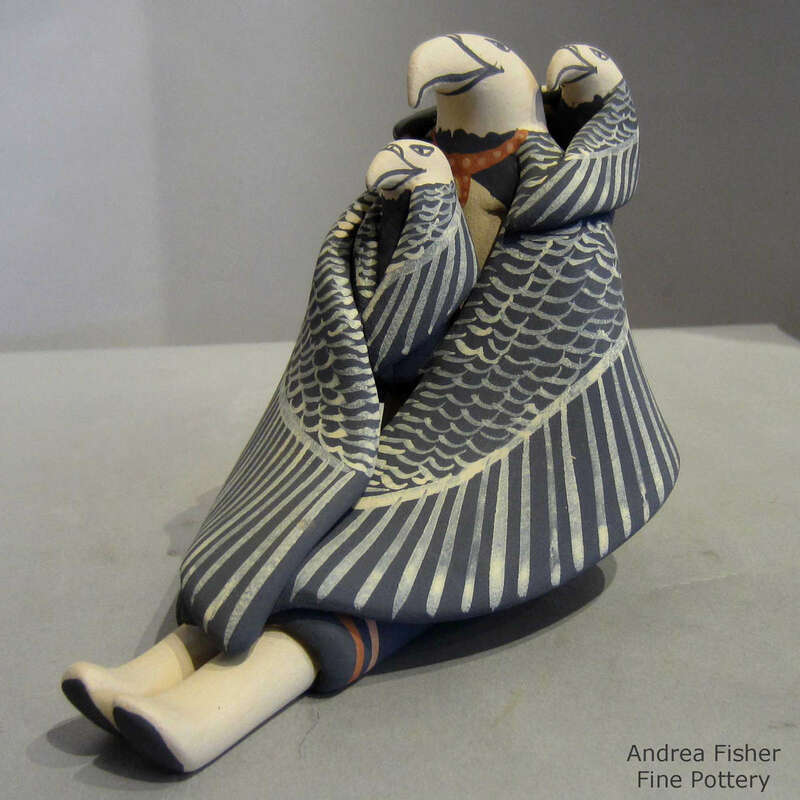 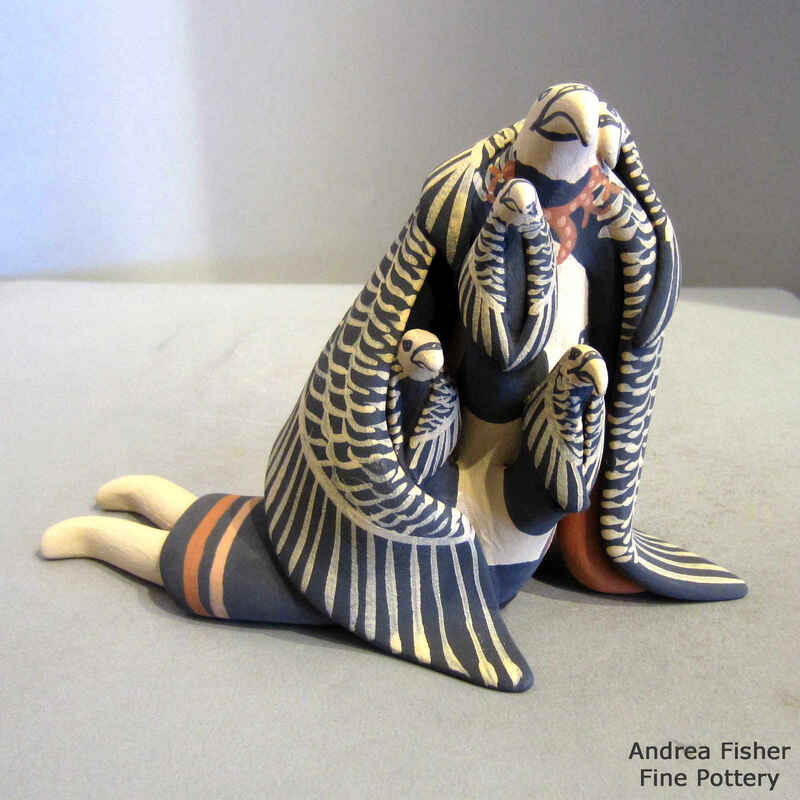 He said it was an easy choice: he's a member of the Eagle Clan and as no one else seems to be producing pottery that resembles eagles, he felt it was a good way to differentiate his works. 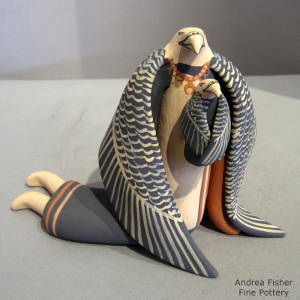 It has worked out really well for him and he continues to expand his eagle-based repertoire. At the same time, Loren has been branching out a bit and recently introduced storytellers and Nativities based on owl and parrot figures.